Yoga Teacher Training Jacksonville: 2017 Is The Year For Your Career Change! Will 2017 Be The Year You Finally Become A Yoga Instructor? Like everyone, you likely made a New Year’s resolution before 2016 ended and 2017 started. Like many people, it probably had something to do with being healthier, losing weight, or taking the next step in your career. Perhaps, you even promised yourself, once again, that this would be the year that you finally took the leap and combined your love of yoga with your livelihood. But saying you want to become a yoga instructor and actually taking steps to achieve your yoga certification are two very different things. 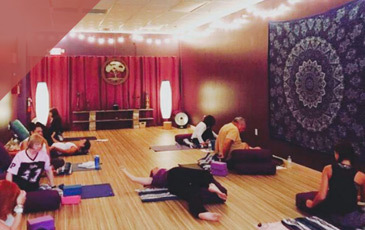 Here at the Yoga Den in Jacksonville, we’re dedicated to helping you look and feel your best, and we’d love to help you discover the career you were truly meant to have. That’s why we offer comprehensive teacher training across the region. If you want to become a yoga instructor in Florida, our teacher training is the best place to start. Keep reading to learn more or contact us today! Yoga Teachers Enjoy A Deeper Physical Practice – It’s impossible to undergo teacher training and achieve yoga certification without discovering a deeper practice. Perhaps it’s a pose that you could never quite master or an aspect of yoga philosophy that you always sought to reconcile with your own life. All of these victories and more often occur during our yoga teacher trainings. Yoga Teachers Learn The Why Behind The How – When you’re a student in a yoga class, your main concern is learning how to do the poses, how to control your breathing, how to relax your body. When you go through yoga teacher training, however, you get to learn why this practice is so important to health and wellness, and why it’s important to allow your body to tell you when you’re ready for the next level. 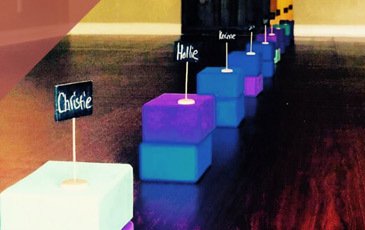 Teaching Yoga Gives You A Bigger Yoga Family – While deepening your practice and learning more about why yoga is so beneficial to physical and mental wellness, yoga teacher training will also connect you to a community of humans who are interested in the very same things! 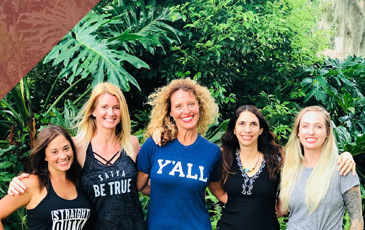 Here at the Yoga Den in Jacksonville, we’ve watched as many of our students become yoga certification graduates, and then as these graduates become yoga teachers in their own right. All along the way, however, the relationships made during training remain. Teaching Yoga Is A Challenge – Lastly, and perhaps most importantly, going through yoga teacher training and certification will challenge you. Perhaps it’s outside your comfort zone to push yourself to try advanced yoga poses. Perhaps you’re terrified of standing up in front of people and leading a class, even though you absolutely love yoga. We’re here to help you overcome those challenges so that you can continue down the path to your ideal career. Our graduates go through hundreds of hours of training so that they fully understand the physical and mental impacts of practicing yoga. They’re also thoroughly trained to welcome and accommodate students of all levels. What Are You Waiting For? Start Your Yoga Instructor Training Journey Today!